"That would have taken us two weeks!" said Jay from St. Francis Shelter in response to the work twenty-five students completed in two days. From an even larger perspective, Lancers accomplished in the 14 hours of Impact what would have taken 1 person to complete in 10 years. That is the power of our solidarity. We are strong, because we stand together. Our leadership often reminds us that 'things don't just happen at Salpointe,' instead we plan, form our intention and do the necessary work. It is under this method that we installed hundreds of smoke detectors in vulnerable homes with the Red Cross, provided two full field days for Tully Elementary, served hundreds of meals, built bicycles from scratch to be donated, and much more. The willingness and grace by which our students participated in their service work is humbling. Not only was the work completed, but it was completed with joy and grace. 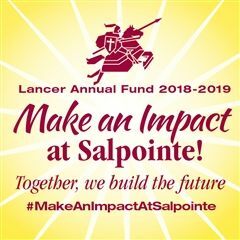 Salpointe is built on the values of prayer, community and service, and Impact hallmarks our commitment to these values. 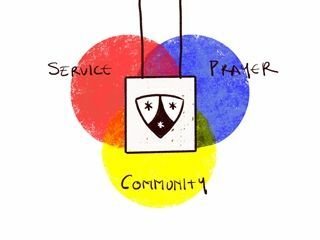 More importantly, Salpointe extends these values into our daily routine through many overlooked acts of mercy and from there is the joy we experience of being part of this community.